A government minister has blamed film and TV producers for promoting images of former armed forces personnel that may encourage recruiters to reject their applications for jobs. Armed forces minister Tobias Ellwood said yesterday that depictions of troubled veterans suffering from post-traumatic stress disorder (PTSD) were discouraging businesses hiring ex-forces personnel. “It does come from Hollywood and the media,” he told BBC Radio 4’s World at One yesterday. “Absolutely there are some who, for no fault of their own, do require support, later in life and PTSD may incubate. We must be there to support them, we have a debt of gratitude. Last month, the British Journal of Psychiatry published research that showed that the overall rate of PTSD among current and ex-serving military personnel had risen over 10 years, from 4% in 2004-6 to 6.2% in 2014-16. The chief driver for the increase – and for the 21.9% who experienced common mental disorders – was deployment of personnel to Iraq and Afghanistan. Seventeen per cent of those who had seen action reported symptoms suggesting PTSD, compared with 6% of those in support roles such as medical, logistics, signals and aircrew. The general rate among the UK population is about 4%. Graham Brown, managing director of Forces Recruitment Services, agreed with Ellwood that the PTSD issue is exaggerated by the media. He told Radio 5 Live: “We’ve helped 10,000 service men and women into work over the past 20 years and I can count on one hand those who’ve been affected by PTSD. It makes good drama, but it’s not been my experience. 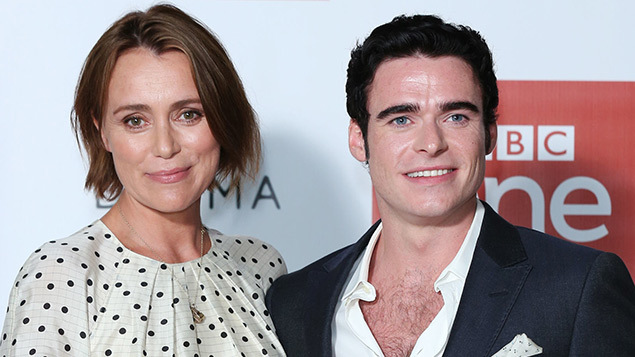 Brown said he found the series entertaining but unrealistic in that someone with the PTSD symptoms exhibited by David Budd, the main character played by Richard Madden, would have been spotted and never have been allowed to serve the home secretary. But Brown did say that services personnel were “sometimes very blunt and direct about what they’ve been through and that can cost them in a job interview”. Although the media may play a part in exaggerating fears over veterans and mental health, the impact of active service in Iraq and Afghanistan should not be underplayed, suggested joint author of the PTSD study, professor of psychiatry at King’s College Sir Simon Wessely. Veterans’ mental health charity Combat Stress concurred that although PTSD cases among forces personnel had grown, so had the support network and education. Dr Walter Busuttil, medical director at the charity, said in a podcast for the Royal College of Psychiatrists that on average veterans used to approach the charity 14 years after they have left the service but since the Iraq and Afghanistan wars this was down to two years. This was because education and support had improved and veterans themselves were much better at dealing with their own symptoms.